5" x 7" x 0.625" Natural Wood Sublimation Plaque Panel, Clear Matte on Maple with kickstand or use pre-cut keyhole. Natural Wood Art and Photo Panels provide a vibrancy and durability that make it the best Art and Photo on wood in the market. The natural wood panels are a favorite product among Artists and Photographers. These are made with Maple Veneer with a low gloss Clear Matte coating and they have pre-drilled keyholes on the back that make them ready to hang. The wood may exhibit hairline cracks or get tiny cracks in the wood after imprinting. 8" x 8" x 0.625" Natural Wood Sublimation Plaque Panel, Clear Matte on Maple with kickstand or use pre-cut keyhole. Natural Wood Art and Photo Panels provide a vibrancy and durability that make it the best Art and Photo on wood in the market. The natural wood panels are a favorite product among Artists and Photographers. These are made with Maple Veneer with a low gloss Clear Matte coating and they have pre-drilled keyholes on the back that make them ready to hang. The wood may exhibit hairline cracks or get tiny cracks in the wood after imprinting. 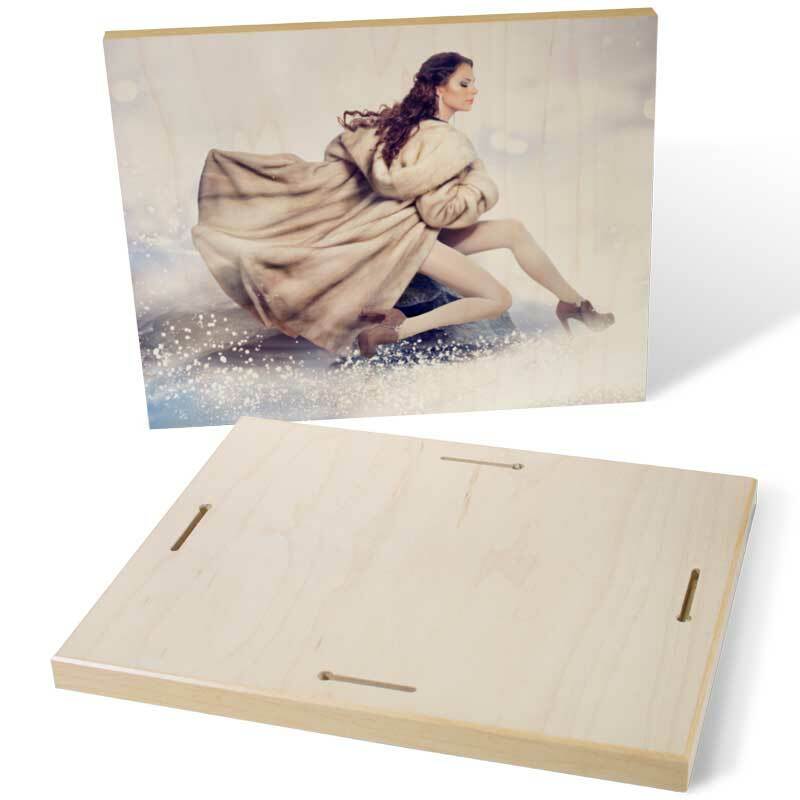 8" x 10" x 0.625" Natural Wood Sublimation Plaque Panel, Clear Matte on Maple with kickstand or use pre-cut keyhole. Natural Wood Art and Photo Panels provide a vibrancy and durability that make it the best Art and Photo on wood in the market. The natural wood panels are a favorite product among Artists and Photographers. These are made with Maple Veneer with a low gloss Clear Matte coating and they have pre-drilled keyholes on the back that make them ready to hang. The wood may exhibit hairline cracks or get tiny cracks in the wood after imprinting. 16" x 20" x 0.625" Natural Wood Art and Photo Panels provide a vibrancy and durability that make it the best Art and Photo on wood in the market. The natural wood panels are a favorite product among Artists and Photographers. These are made with Maple Veneer with a low gloss Clear Matte coating and they have pre-drilled keyholes on the back that make them ready to hang. 20" x 30" x 0.625" Natural Wood Art and Photo Panels provide a vibrancy and durability that make it the best Art and Photo on wood in the market. The natural wood panels are a favorite product among Artists and Photographers. These are made with Maple Veneer with a low gloss Clear Matte coating and they have pre-drilled keyholes on the back that make them ready to hang. Recommended Image Dimensions: 30 x 40"
30" x 40" x 0.625" Natural Wood Art and Photo Panels provide a vibrancy and durability that make it the best Art and Photo on wood in the market. The natural wood panels are a favorite product among Artists and Photographers. These are made with Maple Veneer with a low gloss Clear Matte coating and they have pre-drilled keyholes on the back that make them ready to hang.